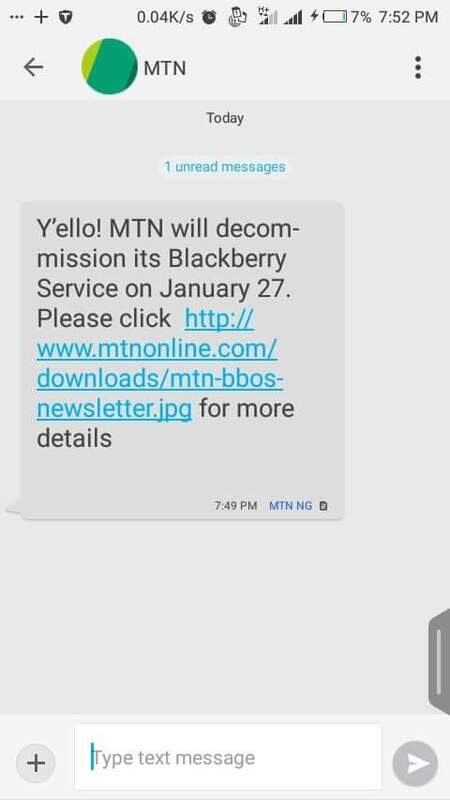 MTN Nigeria has today discontinued it’s blackberry services. This means from today 27th of January 2017 you will no longer be able to subscribe to any MTN Blackberry Data plan. MTN has sent an SMS to it’s MTN blackberry users that they should upgrade to Android phones. This seems to be the end of support for the Canadian company for MTN Nigeria. WhatsApp messenger is also to stop working on blackberry 10 devices. If you are still using a Blackberry phone I think it’s time to upgrade to Android. So the want everybody to sell their bb smartphone abi, me dey use airtel browse jare. Well sha, nice post wasconet, your blog is really helpful.